Istanbul is a huge city. The city formerly known as Constantinople and the ancient capital of the Ottoman Empire is the kind of place where even residents might have a bit of a problem finding their way through certain areas, where all the streets look the same and seem to be leading nowhere. 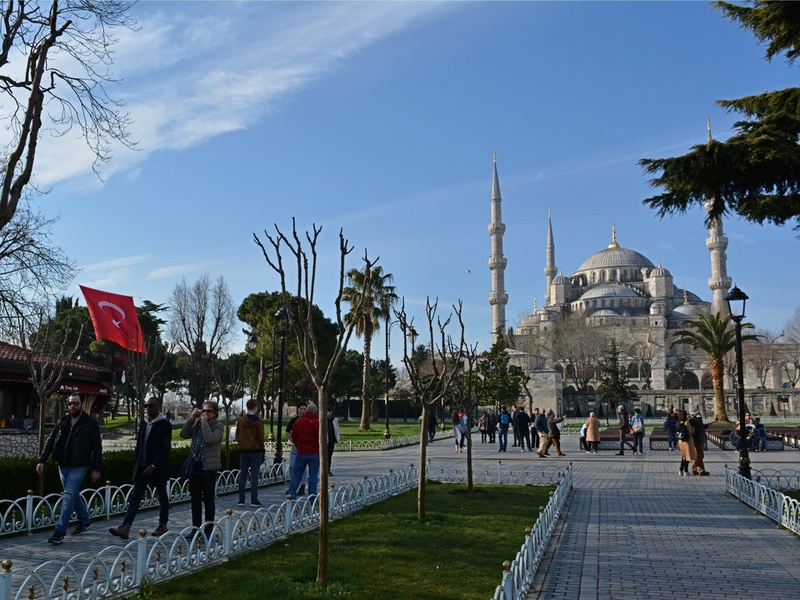 With that being said, if – like most visitors – you’re on your way to the Turkish capital for a pretty limited amount of time, then it is important that you know where you want to go and what you want to see. 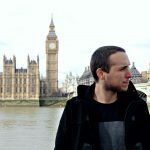 If you’re on the search for a complete itinerary on how to spend 4 days in Istanbul, then stay with me and keep reading. Buckle up, this will be a bumpy ride! 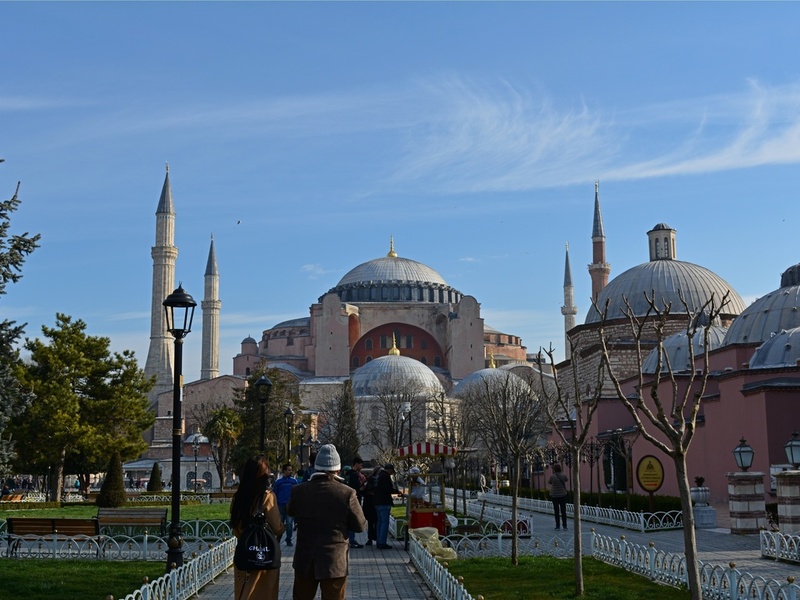 Located in one of the most magnificent squares I’ve ever seen (Sultanahmet Square), the Hagia Sophia is probably the most famous landmark in Istanbul. Witnessing all the transformations the city has been through over the last 1500 years, this gigantic structure was also the target of numerous changes over the centuries. 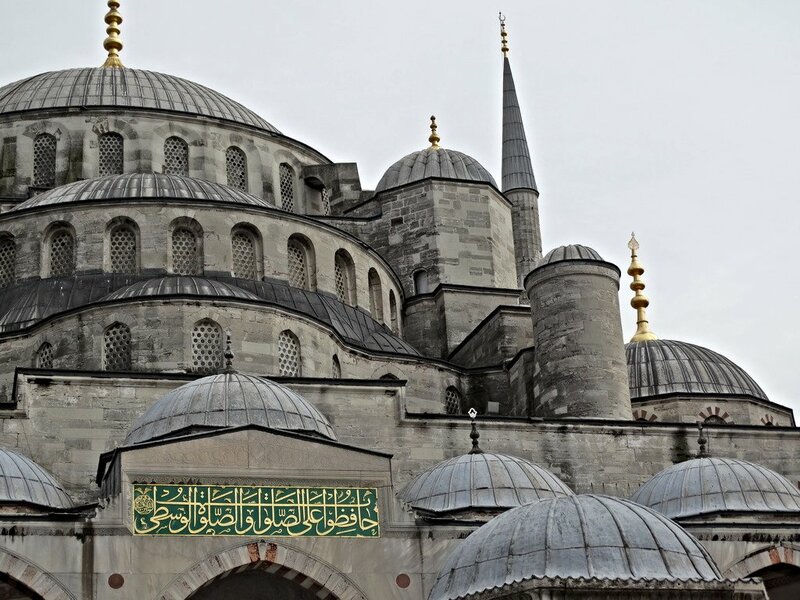 Originally built as a Greek Orthodox Cathedral, it was converted into a Mosque when the Ottomans conquered Constantinople in 1453, and finally into a museum when the Republic of Turkey was founded. 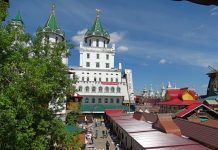 Nowadays, you can visit it and see the unusual combination of Muslim and Christian elements within the same space, such as the vision of golden mosaics of the Virgin Mary sided by giant wooded medallions with Muslim inscriptions. As one of the oldest religious buildings in the world, the Hagia Sophia is a standing tribute to the region’s rich and turbulent history. Standing on the opposite side of the same square, the Blue Mosque (aka Sultan Ahmet Mosque) seems almost too beautiful to be real. Its six minarets ripping through the sky, its multiple domes dominating the landscape…it looks like a perfect painting standing from afar that just keeps getting more and more impressive (and real!) as you get closer. 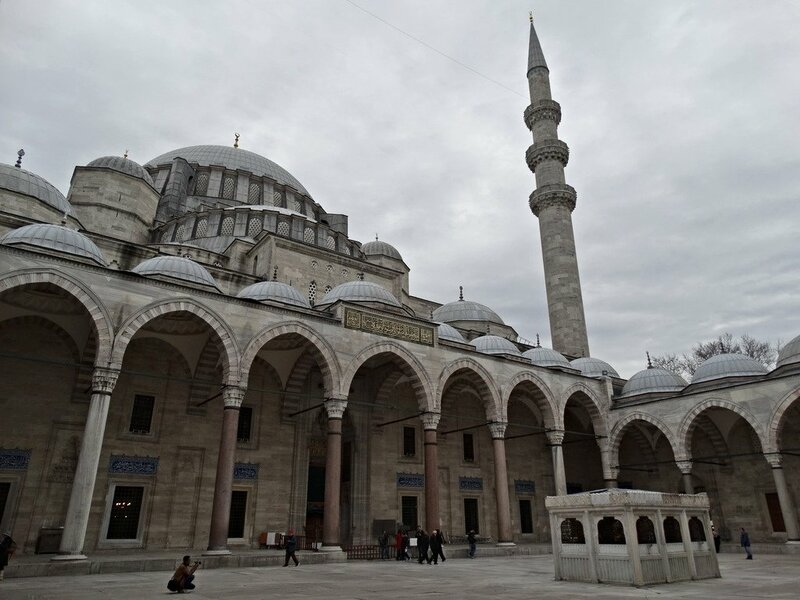 Make sure to visit its courtyard once the Call to Prayer takes place for one of the most mesmerizing experiences in Istanbul, and don’t miss the chance of visiting the Hippodrome, an ancient Byzantine square located right next to the Blue Mosque. After aweing at both sides of the outstanding Sultanahmet Square, walk your way to the Topkapi Palace, former residence of Ottoman Sultans. A series of small buildings decorated with colourful tile panels and surrounded by beautiful courtyards and gardens, this palace looks especially joyful on long sunny days. You may tour the countless rooms and chambers of the palace, see the harem where female members of the sultan’s family lived, check out the ground’s church Hagia Irene, or simply enjoy the amazing views of the Bosphorus from the palace’s terrace. 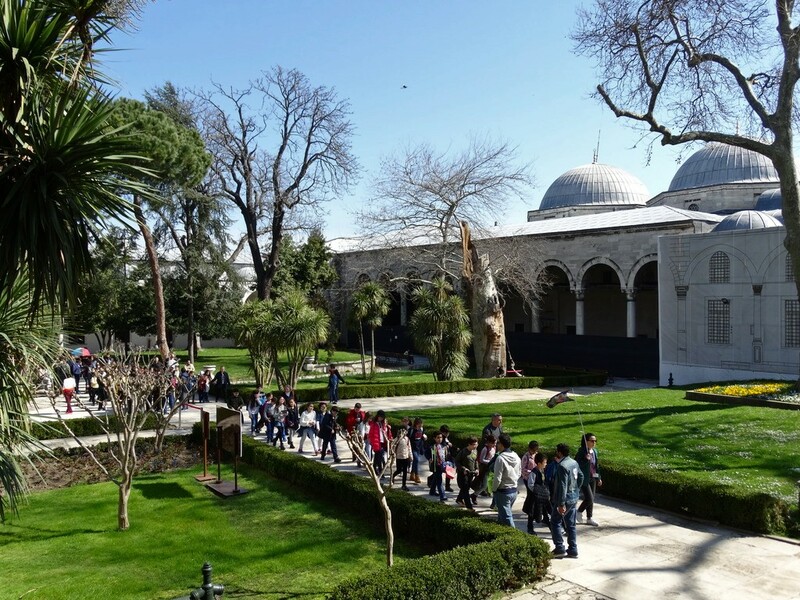 Finally, make sure to see Topkapi’s incredible historic religious relics, such as the Staff of Moses, a turban of Joseph and a series of objects that once belonged to Prophet Muhammad. 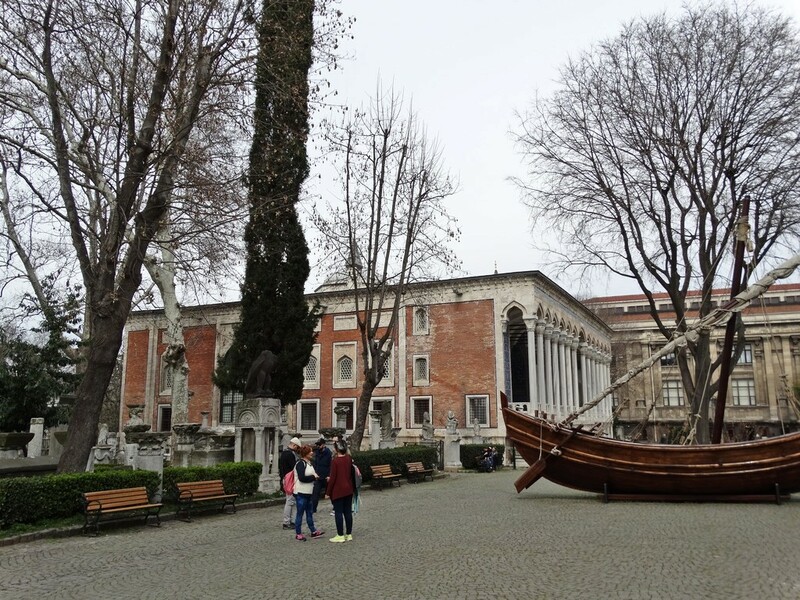 Divided in 3 different branches, the city’s Archaeology Museums might be a very interesting option if you’re searching for how to spend 4 days in Istanbul. Among its most important pieces, you will find original tile images of the Ishtar Gate (whose real sized replica can be found in the capital of Germany), pieces of the oldest peace treaty in the world and an original lion statue from the Mausoleum at Halicarnassus, one of the Seven Wonders of the Ancient World. Despite how amazing Istanbul is, one serious flaw about the city is the lack of easily accessible green areas. 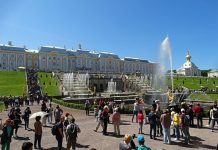 Due to its staggering population numbers, most of the city is covered in buildings and residential blocks, making it very hard for locals and visitors to find parks and gardens where to relax. 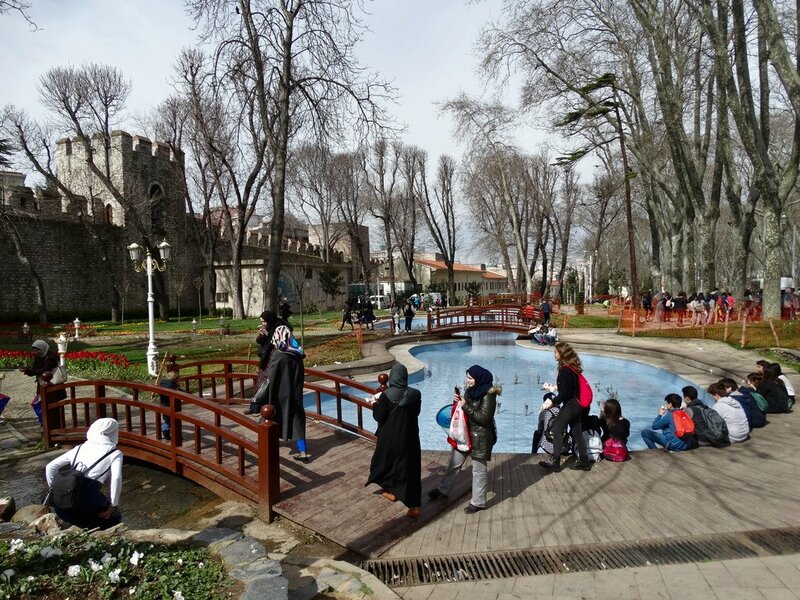 However, Gulhane Park is the notable exception. Once part of Topkapi’s official gardens, Gulhane Park is surrounded by beautiful architecture and rich history, and even though it might not be an oasis of tranquility (due to the crowds) it is nevertheless a nice place where you can replenish energies before venturing back into the hustle and bustle of the big city. Only in Istanbul could a water cistern be elevated to tourist attraction! 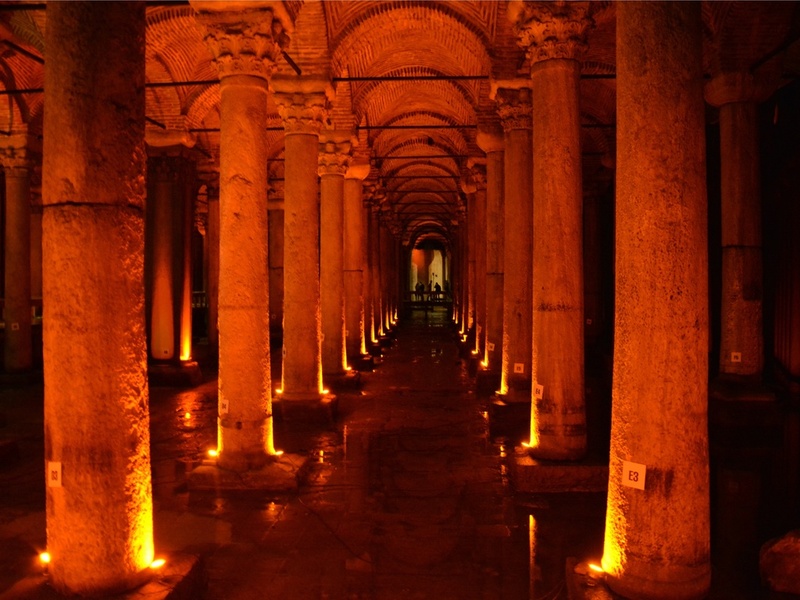 Located below the site where an ancient basilica once stood – hence its name – the Basilica Cistern gives you a very interesting (and rather spooky) insight into underground Istanbul. A wonder of both architecture and engineering, this cistern (the biggest in the city) stands on a precise scheme of 336 perfectly aligned and identically sized marble columns, a remarkable feature considering it was built in the 6th century! Don’t go back to surface until you spot the weeping column and the Medusa heads! 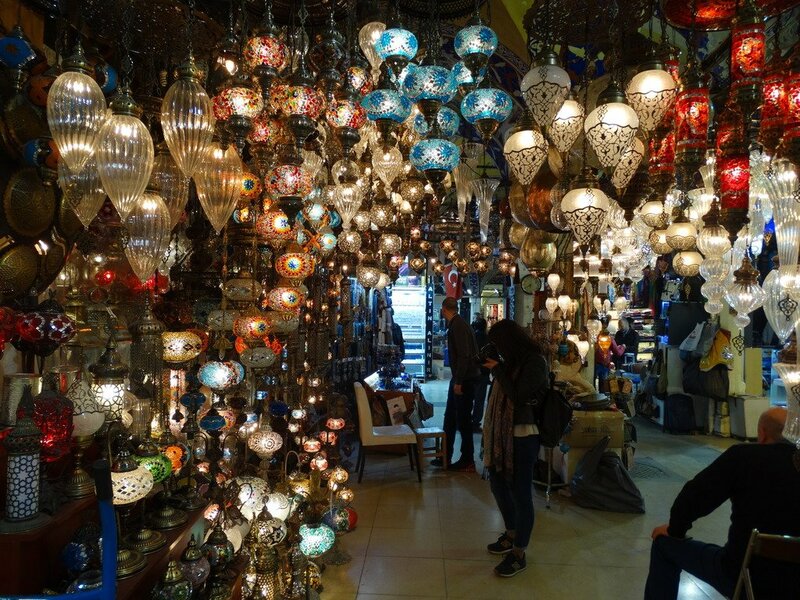 If you’d like to experience Istanbul in a nutshell, then try visiting the Grand Bazaar during rush hour! Known for its huge size and labyrinthic sections, here you are granted to find whatever it is that you’re looking for, although you’ll probably have to say no to hundreds of shop owners who’ll invite you into their stores. 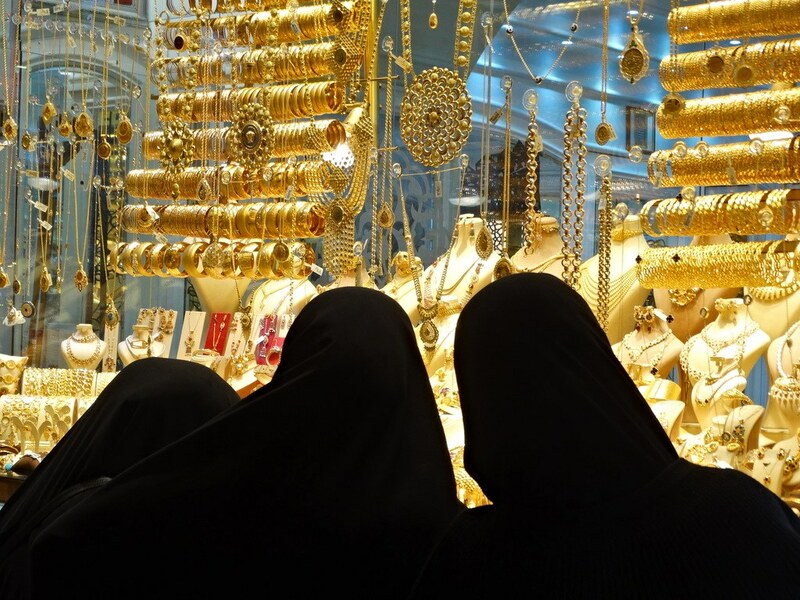 It might not be to everyone, but walking through the bazaar’s 61 covered streets, haggling with the merchants and watching locals calmly playing chess games amidst the crazy crowds is certainly an essential part of visiting the city. 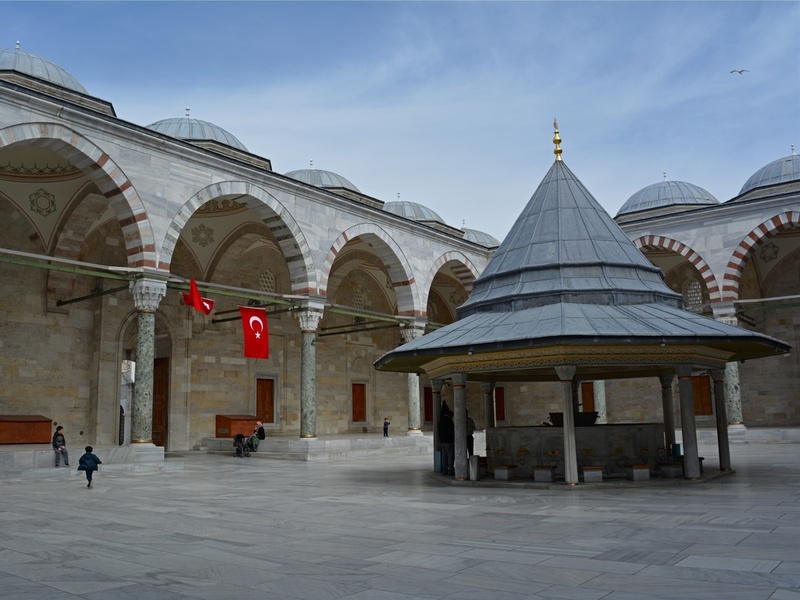 As the second largest mosque in the city, the Suleymaniye is one of the most impressive religious sites in Istanbul. Located atop one of the city’s seven hills, it can be spotted from afar and is arguably one of the Turkish capital’s most recognizable buildings! It’s worth visiting due to its intricate interior paintings, its beautiful courtyard, the remaining complex surrounding it (where you can find the mausoleum of Sultan Suleymaniye – the ruler who commissioned the mosque) and the amazing views of Besiktas and Beyoglu districts you’ll find from its backyard terrace. 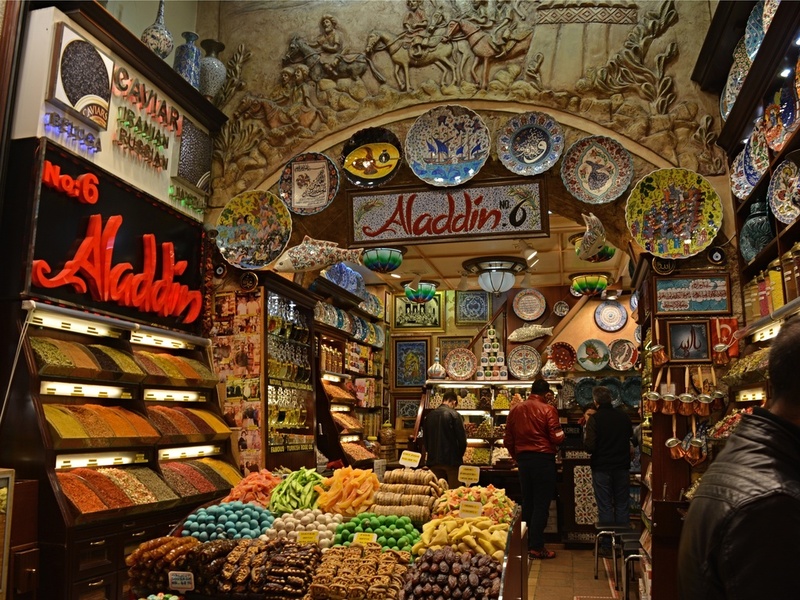 If you’re still going strong in your shopping spree even after a visit to the Grand Bazaar, you can always follow it up with a short tour of the Spice Bazaar. 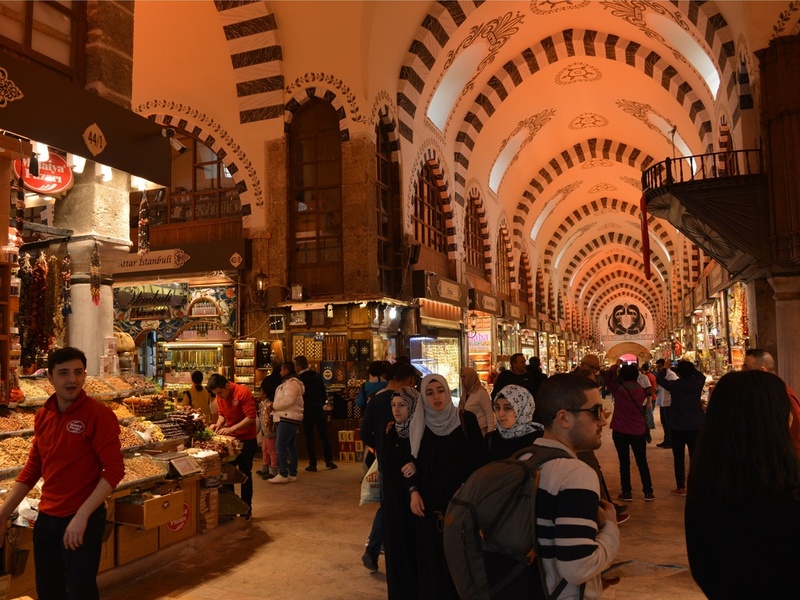 Even though it is much smaller in size than its counterpart, this covered market focuses mainly on food products, such as Turkish delights, dried fruits, herbal teas, and of course, tooooons of spices. Get lost in this maze of colourful stands and exotic smells, and don’t forget to try all the samples you can find! Once you find your way out, visiting the nearby New Mosque is also mandatory. 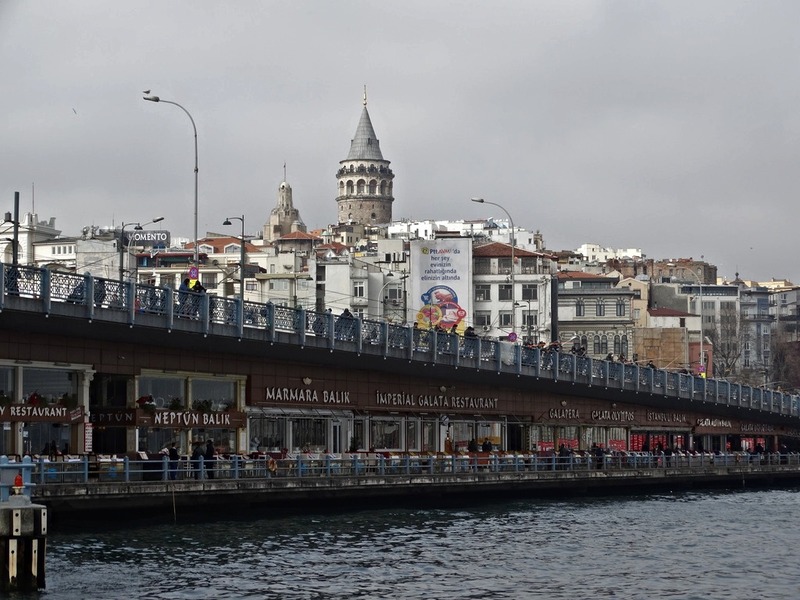 Connecting the Fatih District with the areas of Galata and Beyoglu, the current Galata Bridge is the fifth and most picturesque version of a crossing point over the beautiful Golden Horn. 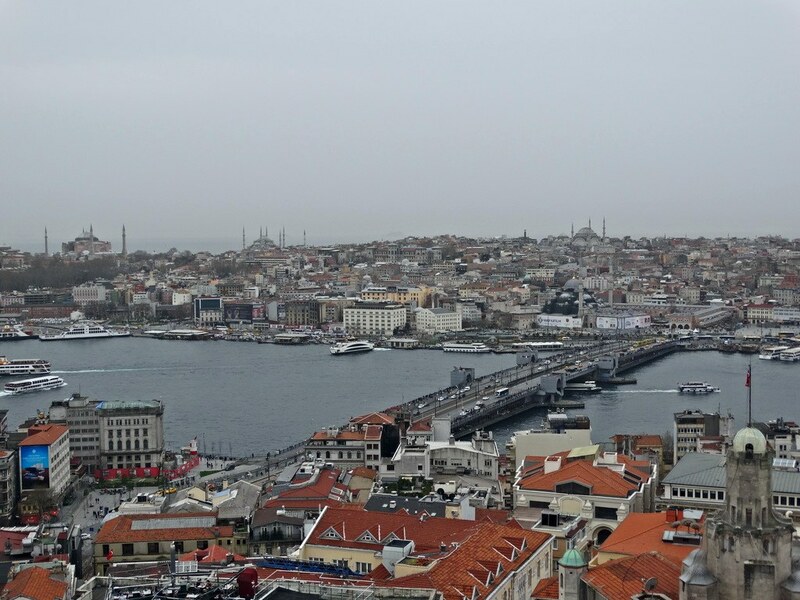 By far more efficient and reliable than its 4 predecessors, the Galata Bridge offers one of the most traditional sights in all of Istanbul. As you’re crossing the bridge, you’ll notice both sides are filled with dozens of local fishermen, aiming for the big catch before selling their spoils in nearby restaurants where tourists like you and me go to. 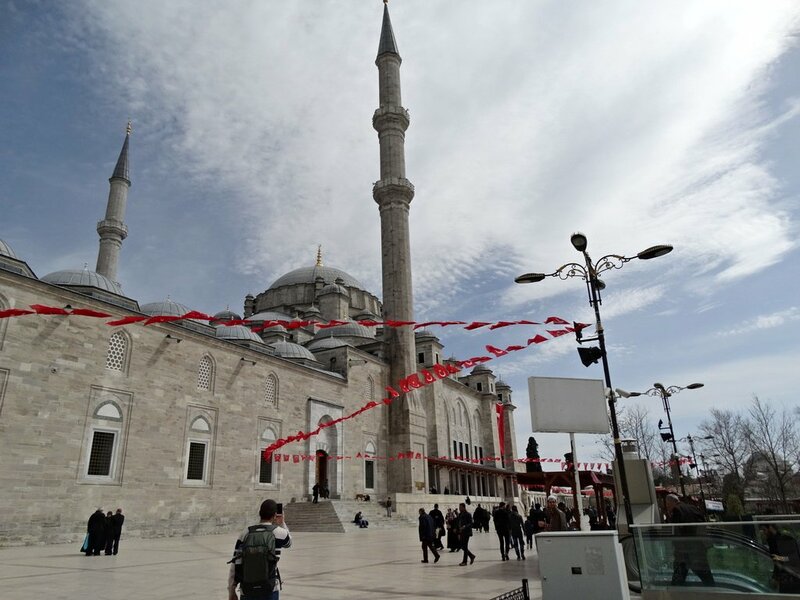 The imposing New and Suleymaniye Mosques in the background help enhancing this amazing sight. 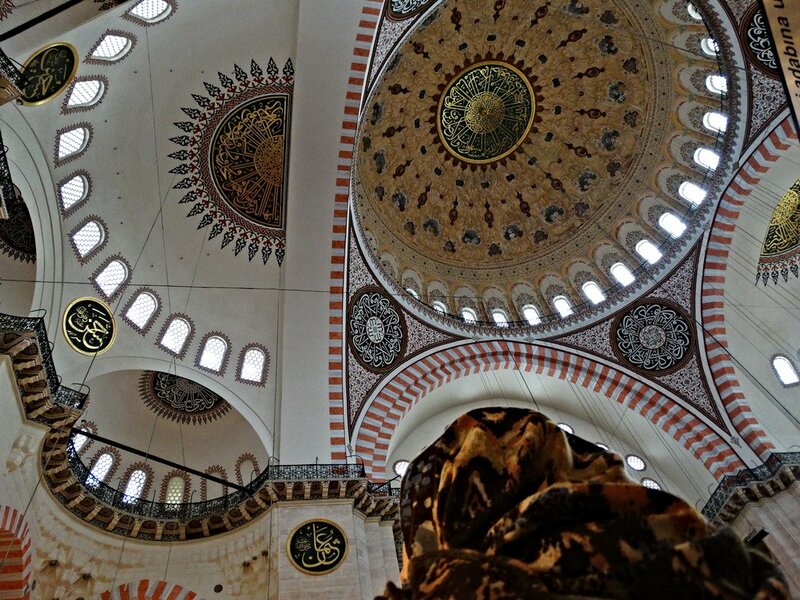 The Fatih Mosque and its surroundings were the most immersive place we visited in Istanbul. There were barely any tourists around and we happened to be there right before the Call to Prayer, which means the mosque was filled with devoted locals, getting ready for the Salah. The mosque itself and its entire complex are beyond fascinating, but what really left a mark on us was that sudden realization that we were almost 4000km away from home, mingling in a culture particularly different from the one we are used to. As usual, the amazing Turkish hospitality helped smoothing this shocking transition. 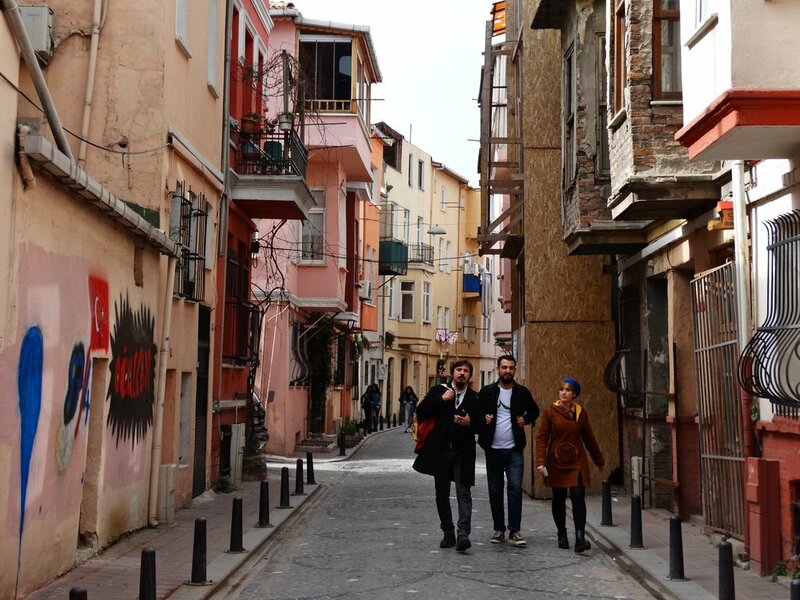 Considered Istanbul’s Jewish Quarter, Balat is a youthful and lively area filled to the brim with colourful buildings that stretch along its adorable narrow streets. Along with the equally charming Fener Quarter, these are the perfect neighbourghoods for you to get lost and simply wander aimlessly. Among the quarters’ most popular landmarks you can find clear traces of its once dominant Jewish and Orthodox Greek populations, such as the Greek Patriarchate Church, the Greek Orthodox College or the Ahrida Synagogue. 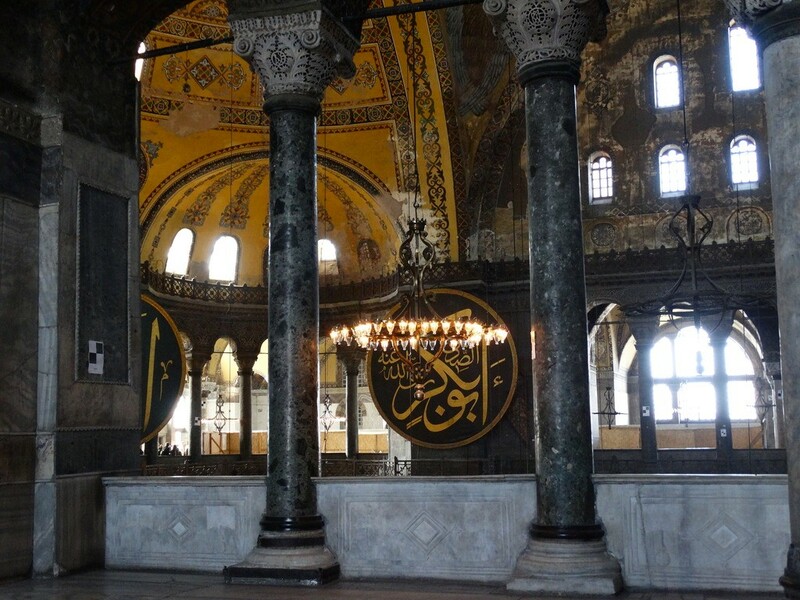 Despite having been originally built as a Byzantine Orthodox worship place, the Chora Church got the “Hagia Sophia treatment”, having been converted into a mosque once Constantinople was conquered by the Ottomans, before finally opening up to the general public as a museum. 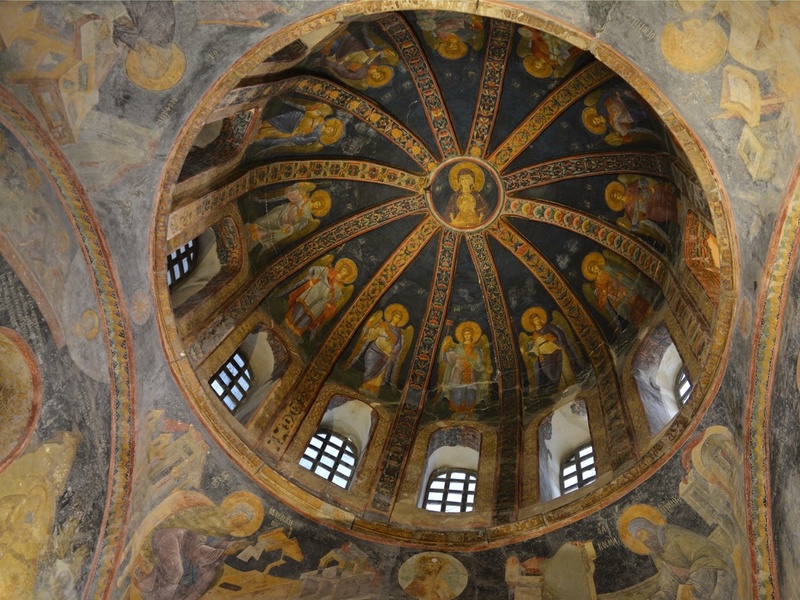 Nowadays, the Chora Church is popular among visitors due to its amazing Byzantine frescoes and mosaics dating as back as the 14th century. Unfortunately for us, we walked all of our way up the hill where the church is located, only to find it covered in scaffolding and about 80% of its interior closed for renovations. Still, we managed to take a short tour of the open areas and at least get a small sample of the famous frescoes. Beautiful they are indeed! With the 3rd day coming in, you’ll finally make your way across the other side of the Golden Horn and explore what is dubbed as the modern side of Istanbul. However, this deceiving concept of “modern” still includes historic towers, old-world architecture, jaw-dropping palaces and more of those fascinating crumbling buildings by the waters. Get ready for yet another awesome day on your quest of learning how to spend 4 days in Istanbul. 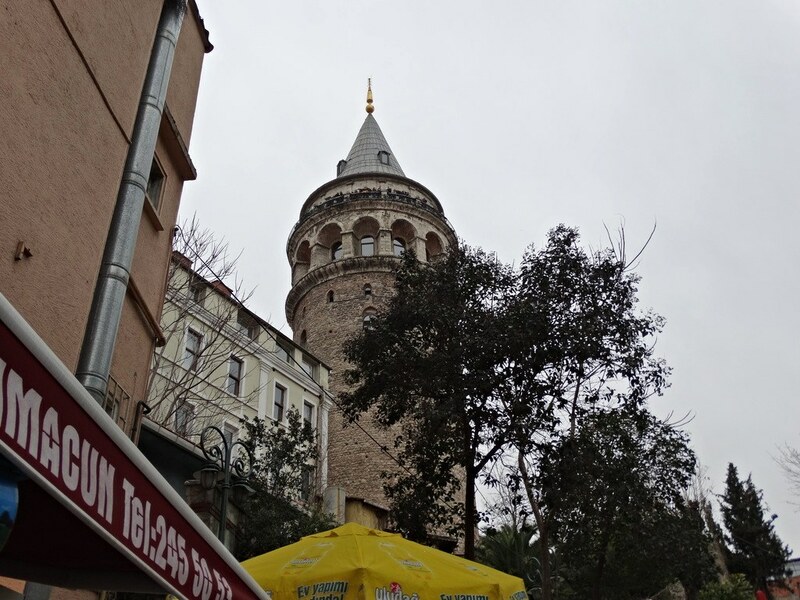 By this point, you’ll have seen the Galata Tower multiple times from afar, so it’ll be great to finally get to see it up-close. Better yet, you’ll have the chance to climb it and enjoy some of the most breath-taking views in the city! Built by the Genoese community in 1348, from atop this 66-metres tall tower you can get an overview of the historic peninsula you’ve spent two days exploring, spotting from afar the likes of the Hagia Sophia, the Galata Bridge and the Topkapi Palace, as well as the Blue, Suleymaniye and Fatih Mosques. 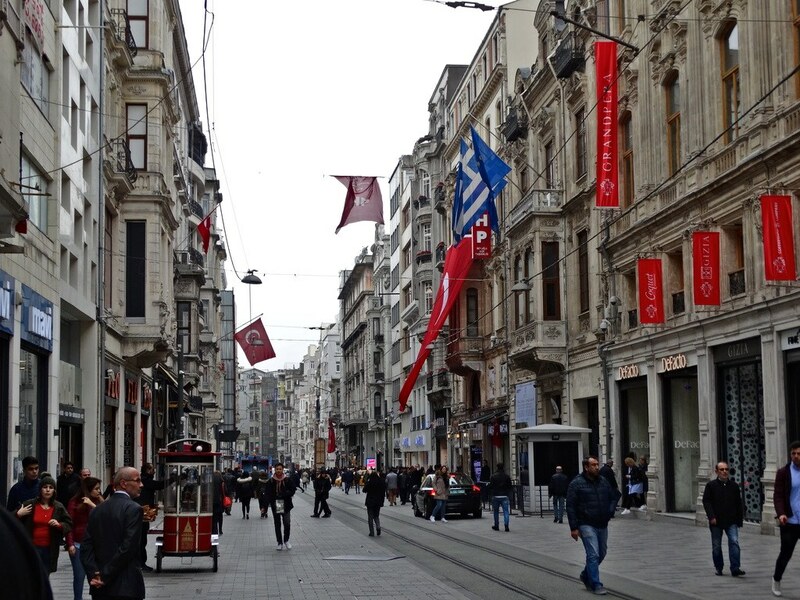 Much like any big metropolis, Istanbul also has a suiting shopping street. Istiklal Avenue is the Turkish counterpart to the Champs-Élysées in Paris, the Oxford Street in London or the Stroget in Copenhagen (just to name a few). Long streets surrounded by great architecture, old-world charm and filled with high-end shops, clothing outlets and restaurants. Despite how busy it is, walking along the Istiklal just soaking in the atmosphere around you is still one of the most pleasant activities in Istanbul. And don’t forget to keep an eye out for the city’s historic tram! At the end of the Istiklal Avenue, the wide Taksim Square awaits you. 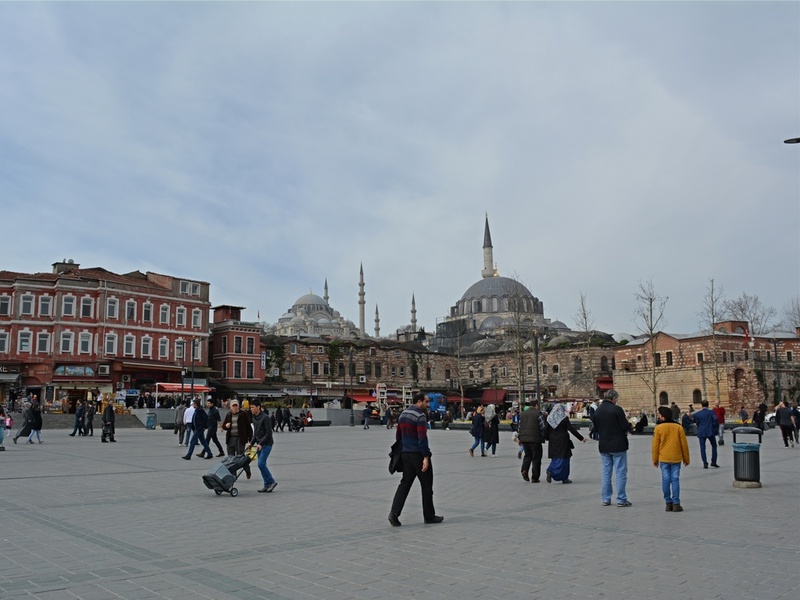 Although it may not be the flashiest or most eye-candy square in Europe, it is nevertheless the epicenter of Turkish society, as a favourite place among locals for mass gatherings, celebrations and protests. 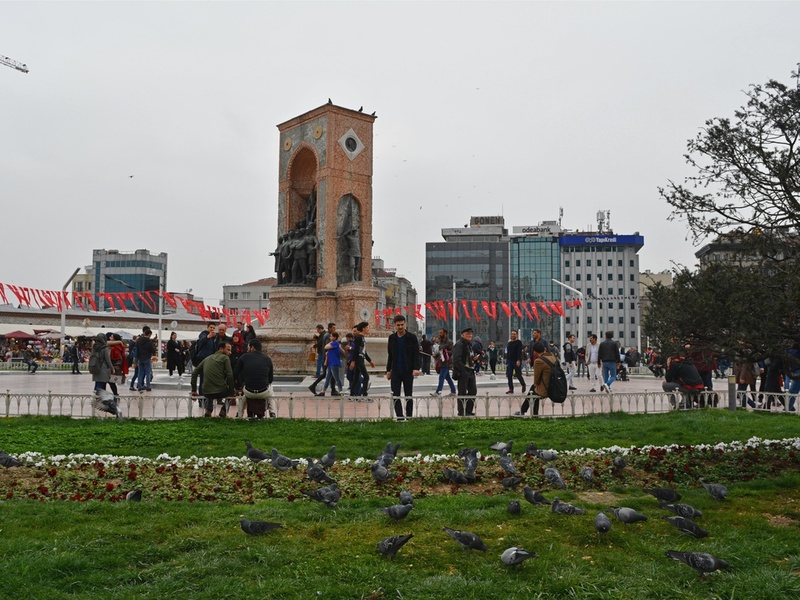 In the middle of the square you’ll find the Monument to the Republic, depicting of some the country’s most prominent national heroes, such as the ever-present Mustafa Kemal Atatürk – the father of modern Turkey. The Topkapi is a wonderful palace, but why having only one main residence in the capital of the empire when you can have two? That’s the kind of thought that might have gone through the Sultan’s mind (you know…cuz he could!) 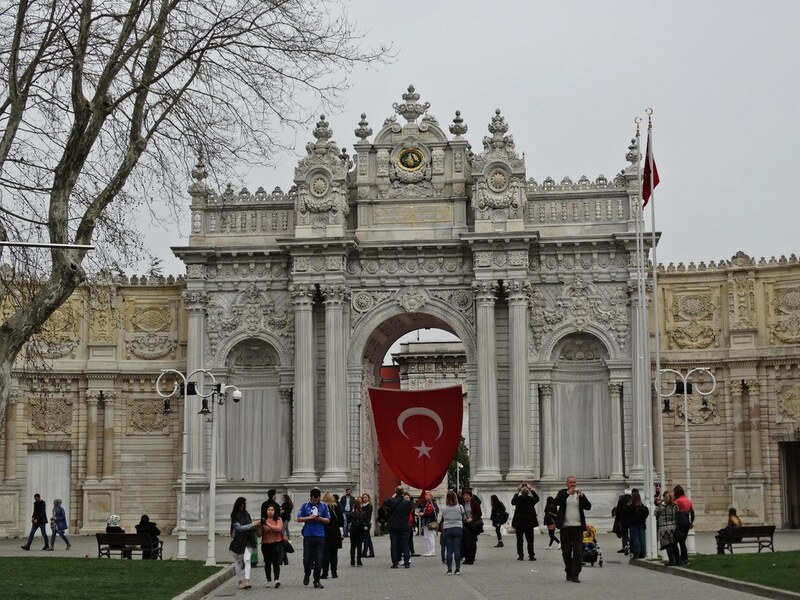 and – just like that – the Dolmabahce Palace was built! 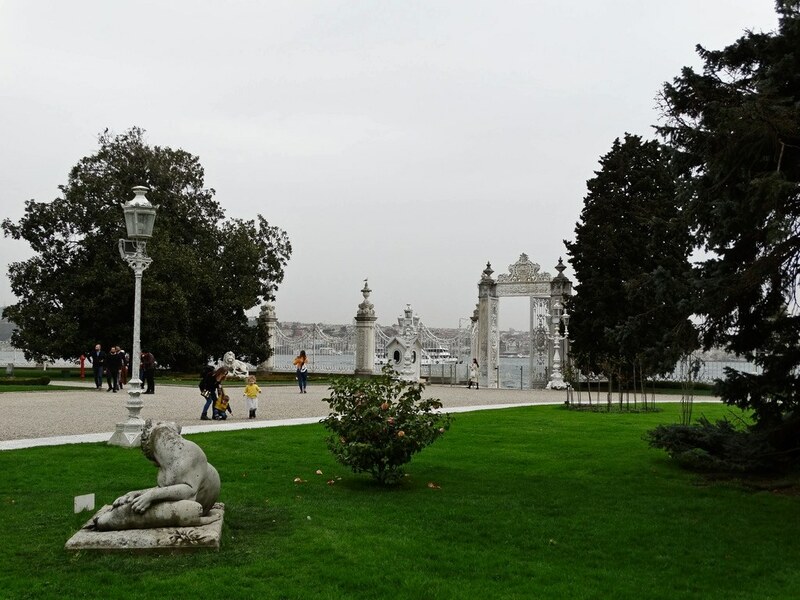 In all fairness, The Dolmabahce looks far more sophisticated and better adjusted to the 19th century reality (when it was built) than its predecessor, with comfortable interiors, huge grounds and simply stunning gardens. 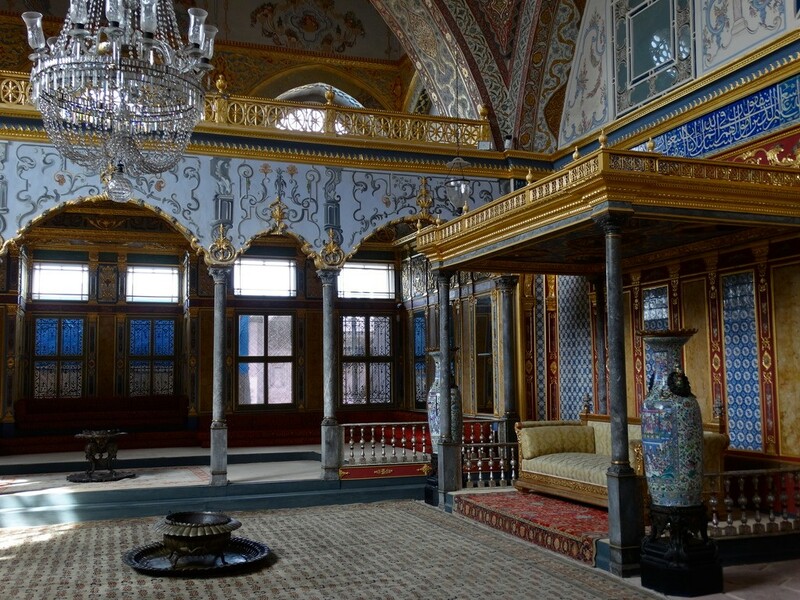 This palace also boasts one of the most outrageously lavishing rooms I’ve ever seen – the Ceremonial Hall. Pictures don’t do it justice, you’ll have to see it for yourself! 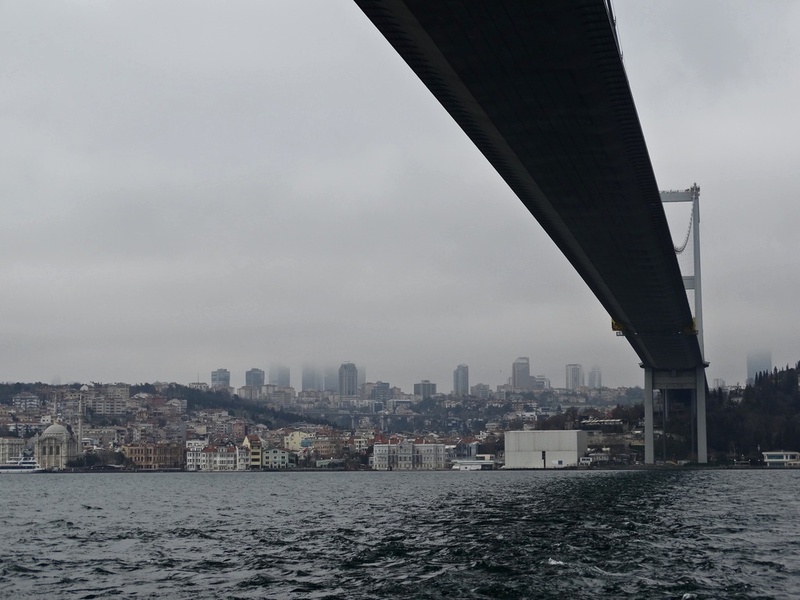 A standing symbol of modern Istanbul, the Bosphorus Bridge is the proverbial meeting point between two continents. Officially named 15 July Martyrs Bridge (after the 2016 failed coup d’état), this is where Europe and Asia collide, and one of those places you definitely have to see when in Istanbul. Walk the bridge’s 1.5km and set foot in Asia, even if it’s just a been there/done that kind of thing. 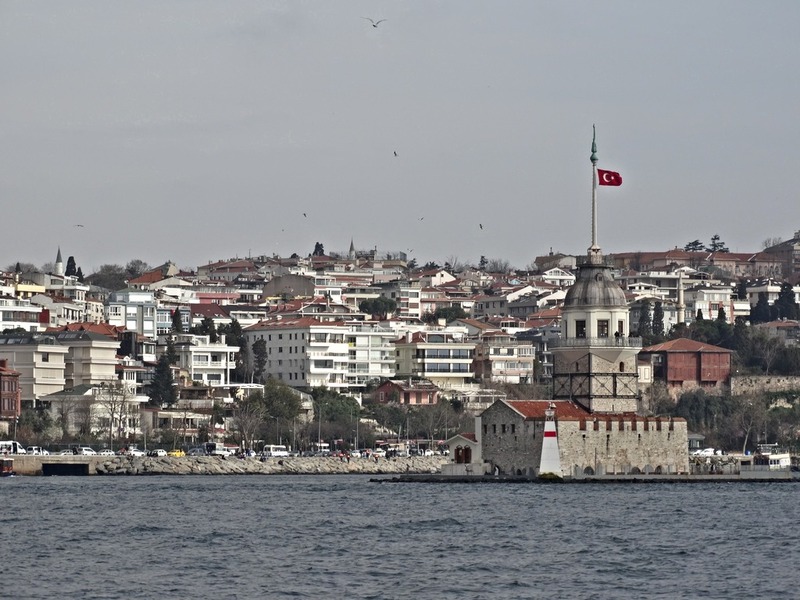 Don’t get me wrong, the Asian side does have its own landmarks (such as the Selimiye Barracks or the Beylerbeyi Palace), but considering your limited time in Istanbul, you’ll probably be better off by saving them for a future visit. 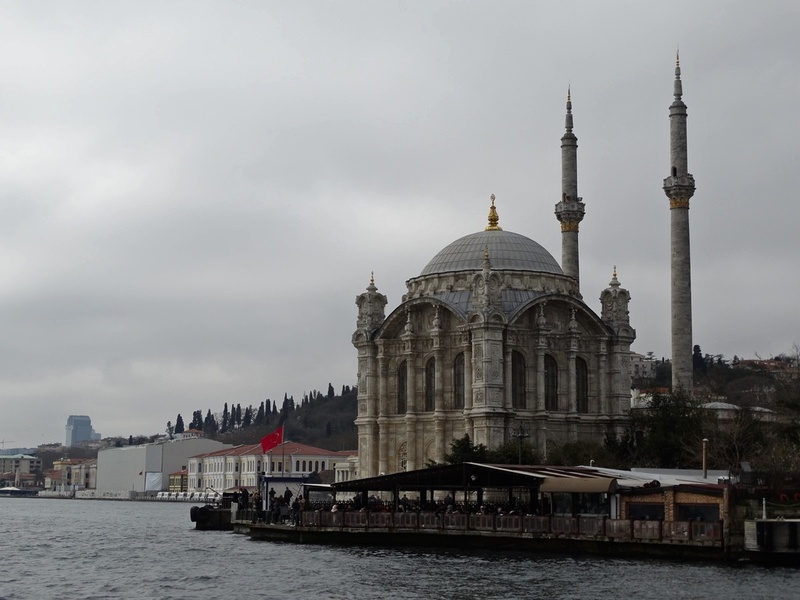 Instead, make sure not to miss the Ortakoy Mosque! For your last day in Istanbul, I recommend that you take some time off to rest. By now, you will have walked great lengths and explored the city’s main areas, so the best way to cap off your trip to the Turkish Capital would be to take a scenic Bosphorus Cruise. Although you’ll find several companies stationed in the ferry terminals offering to take you on a tour, please bear in mind not all of them might be trustworthy. If you want to play it safe, I suggest using Sehir Hatlari – the city’s official maritime transportation provider. With a lengthy sailing time of almost 2 hours, their “Short” version of a Bosphorus Cruise is a pretty generous one! This cruise (which is the one we took btw) will take you through the most beautiful parts of Istanbul until you reach the area of İstinye, sailing under both the Bosphorus and the Fatih Sultan Mehmet Bridges, and back. Along the way, you may expect to see some of the city’s most popular attractions under a whole different light. Places like the Dolmabahce Palace, the Ortakoy Mosque or the Galata Tower look completely different when seen from up-close at water level, while the Blue and Suleymaniye Mosques adorn the landscape from afar. 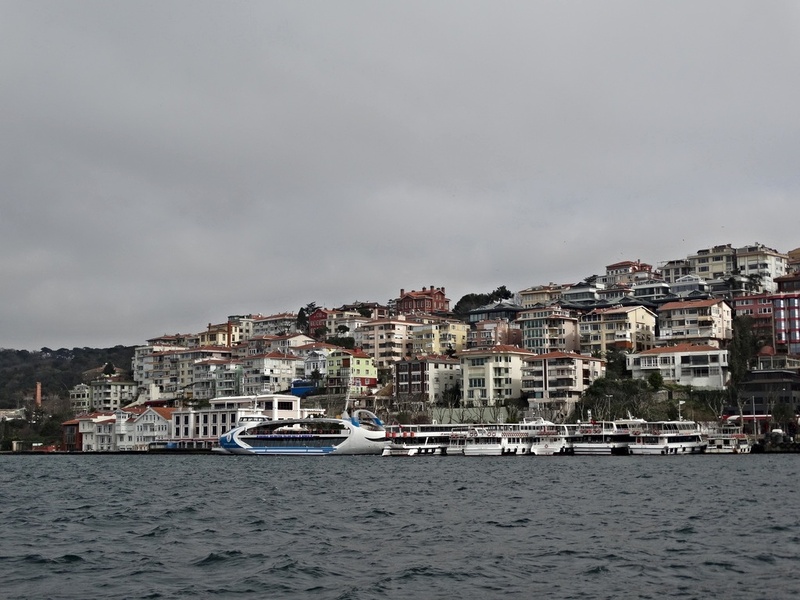 Also, this tour allows you to see landmarks and city areas that would otherwise be pretty hard to reach on foot or by using public transportation, such as the Rumeli Fortress, the Maiden’s Tower or the lovely residential areas located on the green hills of the Asian side. These tours depart from the Eminonu, Uskudar and Ortakoy ferry terminals (schedules on the company’s website) and tickets cost 12₺. If you wish to go on a bigger adventure and take a day trip from Istanbul, then the Long Bosphorus Cruise might be just what you’re looking for! This 6-hour affair will take you through the same places mentioned in the Short Cruise, before sailing all the way to the Black Sea and the fishing village of Anadolu Kavağı. Once in the village, the ferry will stop for about 2h30 so that you can explore the area, have a proper fish meal and visit the Yoros Castle, an ensemble of ruins where you can enjoy great views of the sea and its scenic surroundings. Once again, you can check the schedule at Sehir Hatlari’s official website (shared above) and tickets cost 25₺ round-trip. Hope you enjoyed our tips on how to spend 4 days in Istanbul, as this was exactly how our days went in this amazing city! What do you think of our itinerary? Do you recommend any other places or activities? Let us know on the comments below!